So far, 2019 has been a big year for SEAM Technology Gateway, based in Waterford Institute of Technology, as it celebrates 10 years providing support and expertise to Irish industry. 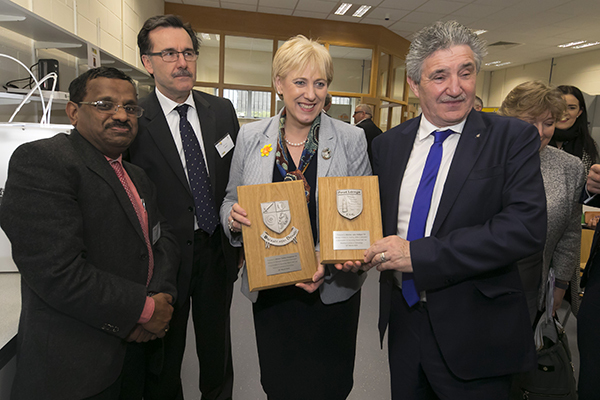 In recognition of this achievement, an industry-focused celebration was hosted on Friday 22nd March in Waterford Institute of Technology. The event focused on highlighting the many existing and new capabilities that SEAM can offer as well as showcasing the special relationship which exists between the Gateway and industry. 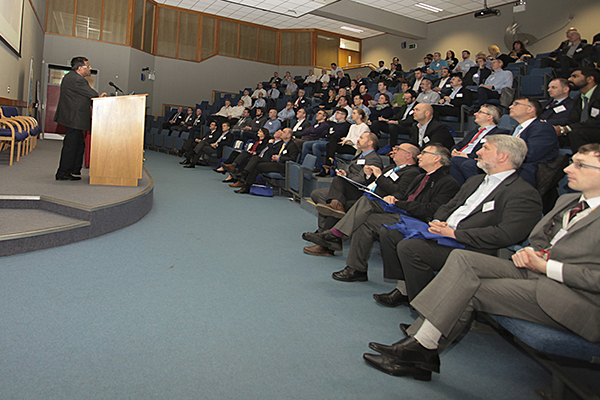 The event also included the launch of the new Additive Manufacturing Training Centre (3DWIT) based in WIT. Attended by over 100 industry delegates from around the country, representatives were also present from Enterprise Ireland, the IDA, Government departments and various academic institutes. SEAM Technology Gateway is currently funded under the Enterprise Ireland’s Technology Gateway Programme, which delivers innovation expertise to industry across Ireland. The programme is run by Enterprise Ireland in partnership with 9 Institutes of Technology and 1 Technological University across the country. SEAM is one of 15 such Gateways and provides engineering material solutions for industry in sectors such as biomedical devices, pharmaceuticals, microelectronics, precision engineering and construction. The Gateway has been providing assistance to industries in the South and SE region of Ireland and beyond since its launch in 2009. The event agenda included a range of relevant and interesting discussions, audience interactions and presentations. The morning session opened with a welcome address by Dr Mark White, Vice President for Research & Innovation, WIT, followed by a presentation by Dr Ramesh Raghavendra (SEAM Centre Director & CEO of 3DWIT), who outlined SEAM’s 10-year contribution to industry. Closing the morning session was an insightful presentation from Michael Kelly, Centre Manager of 3DWIT, who introduced the new Additive Manufacturing skills available through 3DWIT. 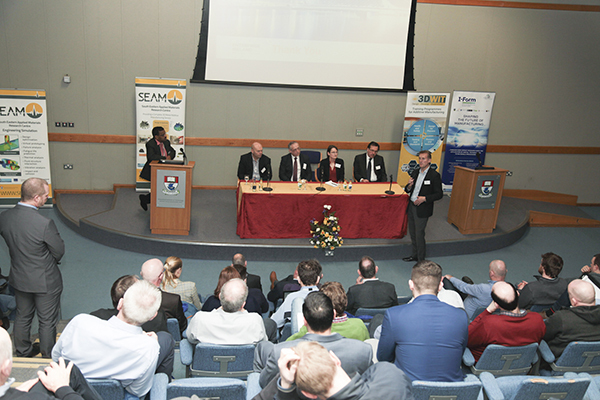 These not only allowed attendees an insight into the many different types of collaboration between SEAM and Irish industry, but the many different types of R&D development and innovation currently ongoing within Irish industry. This was then followed by an informative Question and Answers session with all panel members. 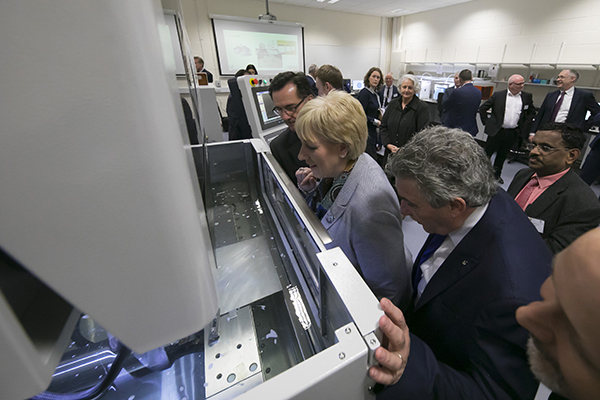 The afternoon session saw the official launch of the Additive Manufacturing Training Centre (3DWIT) with speeches from Minister for Business, Enterprise and Innovation, Heather Humphreys and Minister of State for Training, Skills, Innovation, Research and Development John Halligan. To find out more about SEAM Technology Gateway check out their page and follow them on Twitter for all the latest news and events!